The standard guide to the topic for students and experts alike. 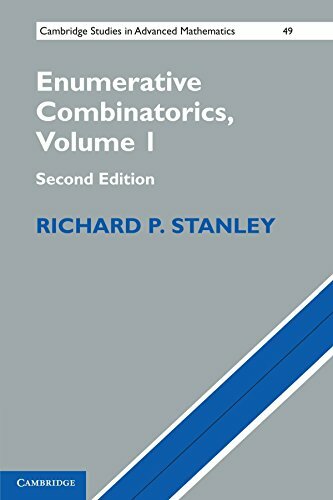 The material in Volume 1 was chosen to cover those parts of enumerative combinatorics of greatest applicability and with the most important connections with other areas of mathematics. This is a collection of mathematical algorithms with many new and interesting examples in this second edition. The authors tried to place in the reader's hands a kit of building blocks with which the reader can construct more elaborate structures. Contents: Subsets and binomial coefficients; Selections and arrangements; Power series; Recurrence relations; Partitions and permutations; The Principle of Inclusion and Exclusion; Families of sets; Systems of distinct representatives; etc.